One of the key drivers to brand success is a strong clinical advocacy and Key Opinion Leader (KOL). The KOL mapping tool has been developed to enhance individual knowledge and help develop target lists of KOLs most suitable for further attention in any defined therapy area or country to drive sales of any brand. The KOL information is packaged in a user friendly web based tool, which can be company branded, with integral geographical map that can be accessed by any listed members of the internal or external team (eg marketing, sales, medical, market access). Contained within the tool is a photo of the individual KOL (where possible) and a summary (biog etc), their key research interests, all publications and contacts details (including email address). 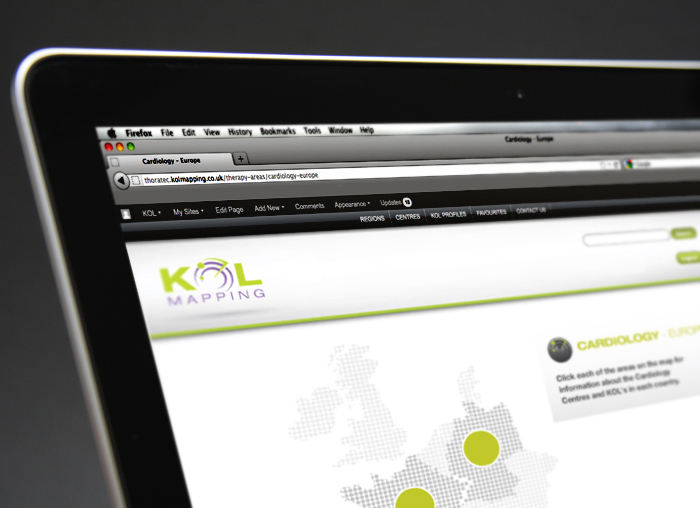 The KOL mapping tool is interactive and additional information can be added by company staff for each KOL as new or useful information is uncovered regarding each customer. In addition a star system is in place for both advocacy and influence along with a list of key attributes (eg good speaker) thus giving the user an ‘at a glance’ knowledge of that KOL based on both internal and external information. The tool can also be used for setting an individual objective for each KOL which can be tracked by the Marketing/Medical team. This gives all the relevant info on the KOLs prior to a company visit ensuring an informed and targeted discussion. The KOL Mapping Tool has now adopted by a number of Pharmaceuticals.